Sam was drawn to Renaissance Financial’s supportive work environment and cohesive team of well-rounded individuals. With a strong work ethic, Sam is committed to helping clients from diverse backgrounds - from young families to small businesses to retirees - as they construct their financial goals. With two previous internships in accounting and finance, Sam has gained extensive experience in manufacturing and healthcare. At Zoltek-Toray Group, he performed month-end variance analysis and account reconciliation, and prepared memos relating to impairment of long-term assets. At Cooperative Home Care, he assisted in preparing and reporting monthly financials, created pro forma statements on possible business opportunities and performed bank reconciliations. Sam holds a B.S. in accounting from Truman State University. He was the fundraising co-chair at Pi Kappa Phi fraternity, where he doubled the amount of funds raised by any other fundraising chair in the previous two years. Sam was a two-time Greek Week committee member, co-coordinating Lip Sync, an event for 1500 students. A dedicated volunteer, Sam helped facilitate Philanthropy Day at Truman State, creating gift baskets for a local dog shelter. He also volunteered at VITA (Volunteer Income Tax Association) helping individuals in the community fill out their annual taxes. Currently, Sam is the youngest member on the Board of Directors for CHADS Coalition where he helps raise awareness for mental health and suicide prevention. 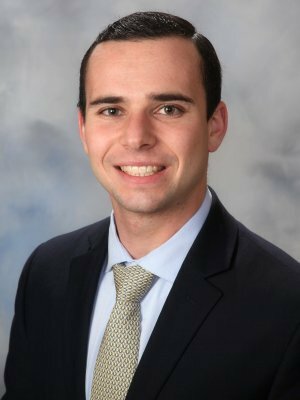 Sam was also a member of the Philanthropic Institute for Professional Advisors Class of 2018 where he learned how to better assist and encourage his clients to be philanthropic. Originally from Creve Coeur, Missouri, Sam enjoys traveling across the world and experiencing different cultures. He is a Division II Varsity cross country and track athlete and remains an avid runner. He hopes to compete in the Boston and New York City marathons one day. Sam holds his Life, Accident, and Health Agent license, as well as FINRA Series 7 and 66 registrations. Registered Representative and Investment Advisor Representative, Securian Financial Services, Inc. Financial Advisors do not provide specific tax/legal advice and this information should not be considered as such. You should always consult your tax/legal advisor regarding your own specific tax/legal situation.